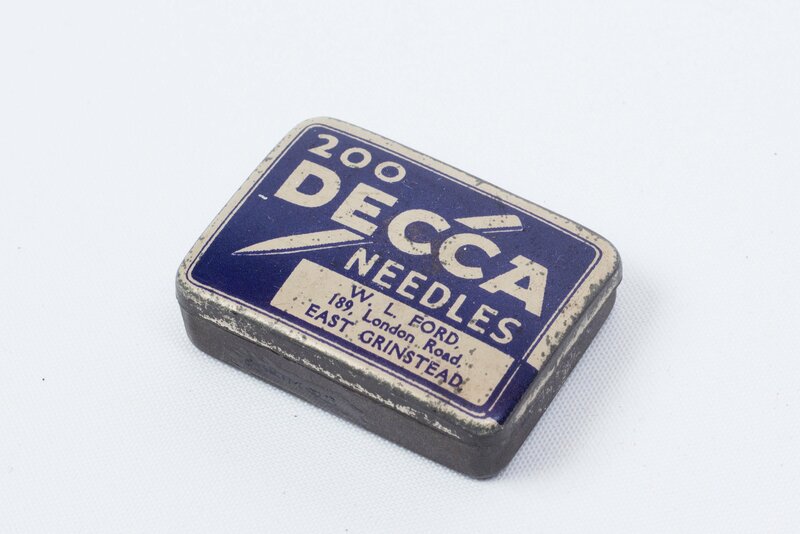 This tin of needles was sold by Fords in the London Road. 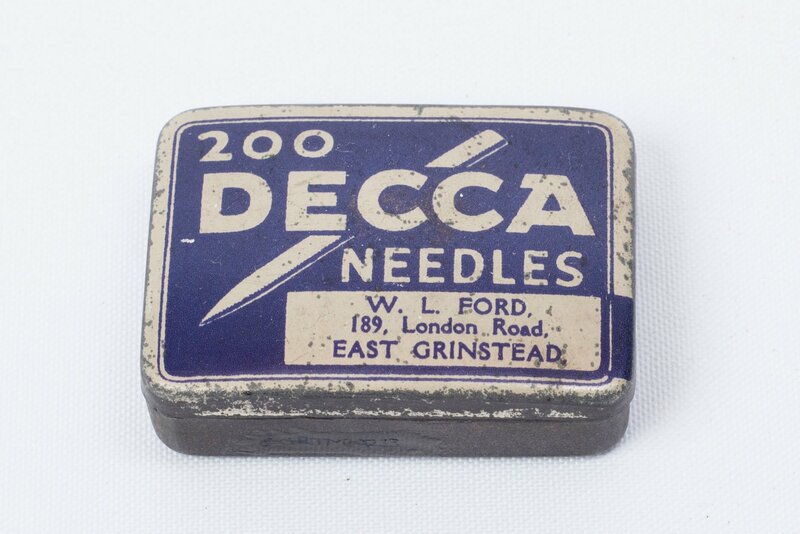 Needles were used in gramophones to run in the grooves of the records to play the tune. 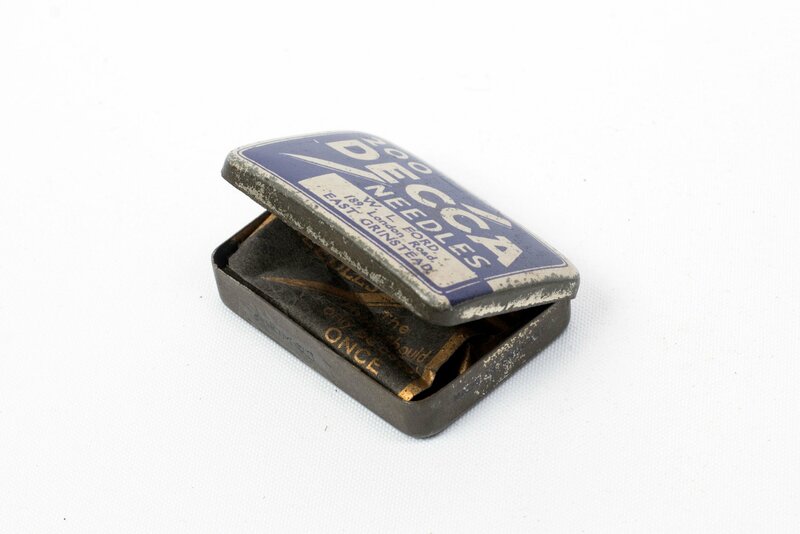 Decca was one of many companies who manufactured them.